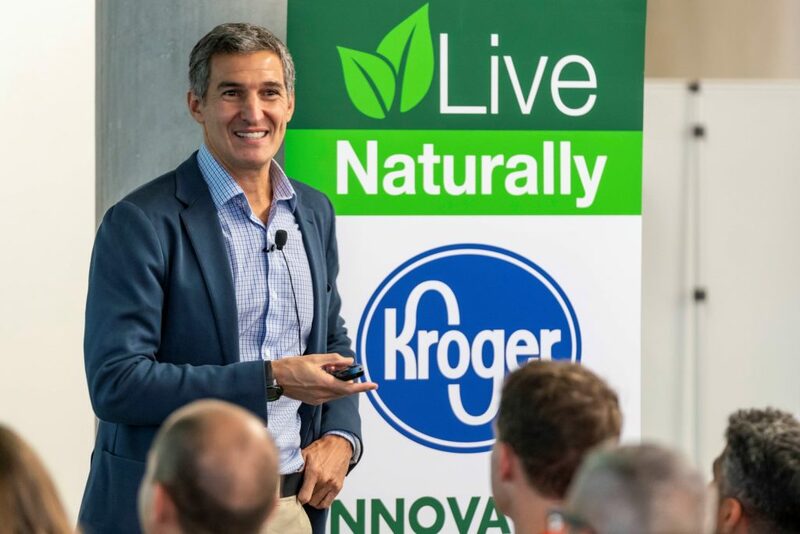 Kroger hosted its 4th Natural Foods Innovation Summit at 84.51°, the company’s data analytics company. 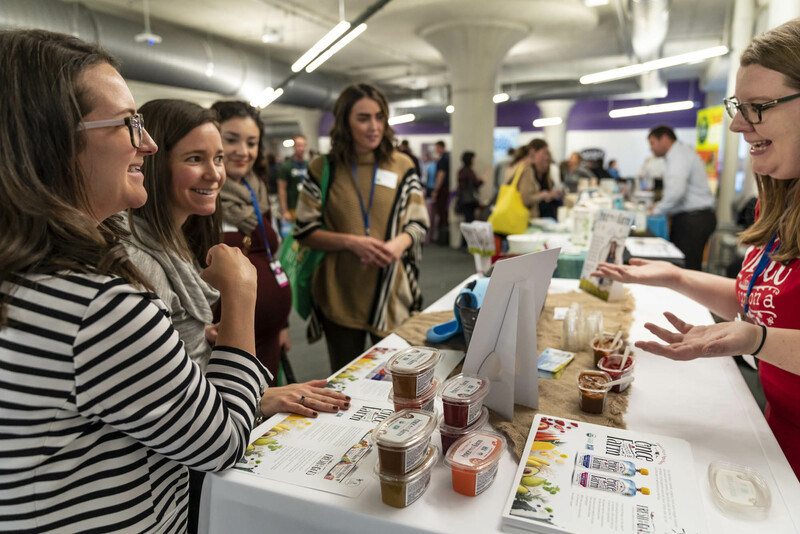 Nearly 60 small business and start-up brands were invited to pitch their innovative products – including dissolvable tea pods, collagen protein bars and plant-based gummy bears – to Kroger buyers and category managers. The goal? To be one of the new products selected to be carried in Kroger Family of Stores. Simple Mills® and Nosh® were a couple of the participating suppliers. Simple Mills®, an all-natural, 10-ingredient-or-less baking products brand, featured soft baked, all-natural cookies. This is just one edible in their line-up of gluten-free, grain-free, soy-free, non-GMO, and paleo-friendly products, inspired by their CEO Katlin Smith’s mission to live a healthier lifestyle. Nosh®, a natural, organic baby food line, featured their dissolvable teething wafers. This portable snack is perfect for parents on-the-go. This was the brand’s first Summit. To kick off the Summit, Seth Goldman, co-founder of Honest Tea® and executive chairman of Beyond Meat®, delivered an insightful keynote. During his presentation, he enthused about the importance of sustainability in the food industry, and how to accelerate a startup, and operate a mission-driven company. “Sometimes solutions can create all sorts of problems for nature. Businesses may be [part of] the problem, but they can also be the solution,” noted Seth. Last year marked the first Natural Foods Innovation Summit. Since then, Kroger has engaged more than 200 brands trending in the natural foods innovation space. “We know today’s customer wants better-for-you products, and Kroger will continue to make natural, organic, and free-from products accessible and affordable through Simple Truth® and supplier partnerships,” said Robert Clark, Kroger’s senior vice president of merchandising. Curious to see how your brand could join Kroger’s family of suppliers? Visit Kroger.Com/WeAreLocal to learn more.